I very much enjoyed Nancy Bilyeau's Joanna Stafford trilogy, so I was excited to see she had a new book. 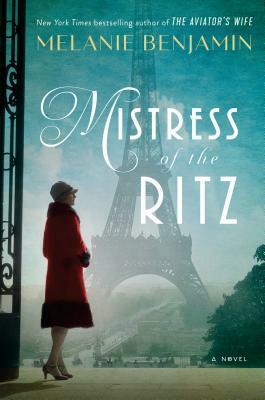 In The Blue, she jumps forward two hundred years, leaving the Tudor era behind for the decadent Georgians, the scandalous court of Louis XV, and the porcelain rage that was sweeping Europe. Genevieve Planche is a young Huguenot woman living in London with her grandfather, her family having fled religious persecution in France. A talented artist, Genevieve longs to do more than paint flowers on fabric for society ladies' dresses. She wants to capture the world around her on canvas, but to do so she needs a teacher. Unfortunately, no teacher in London will take on a woman as a student. Though she is offered a job as a decorator at her cousin's porcelain factory in Derby, Genevieve believes her creativity and spirit will be crushed in such a meaningless job, and she is about to take drastic action to avoid that fate when a mysterious benefactor makes her an offer: take the job in Derby, find the chemist rumored to be working on the most beautiful shade of blue the world has ever seen, steal his formula, and she will be fully funded to Venice, where women are accepted as artists. But Derby turns out to be nothing like Genevieve was expecting. Her new employers are suspicious of her from the start, and her eyes are opened to the cutthroat competitiveness of the porcelain industry and the lengths her employers are willing to go to to win the race. But she does make some friends and, to her surprise, she does find some creative satisfaction. Genevieve turns out to be a rather poor spy, and she constantly wages an internal battle over the morality of her actions, especially once she finds her elusive quarry. But her benefactor will suffer no excuses and makes clear that there will be dire consequences should Genevieve fail to carry out her mission. 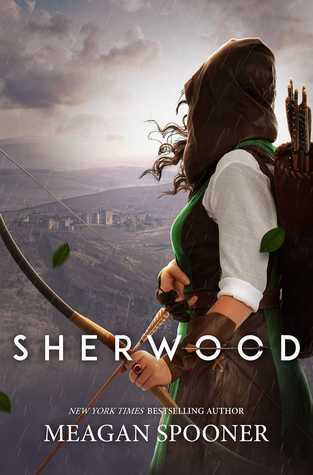 What follows is a tense game of cat-and-mouse as Genevieve tries to stay a step ahead of the dangerous men who will stop at nothing to get what they want while she tries to extricate herself from her precarious position and save the people she loves. While I liked the story and the characters, I didn't love the book as much as I'd hoped to. The beginning chapters hooked me and the final chapters were intense and exciting as the story reached its conclusion, but the middle of the book dragged. While I found the porcelain war fascinating, at times there was too much description and I started skimming scenes revolving around discussions of technique and color. And yet it seemed odd that in a story that moved along so slowly, Genevieve and her gentleman fell in love at first sight, and that development was the point upon which the rest of the story pivoted. I would have liked to see more of a buildup to love alongside the buildup of the story. 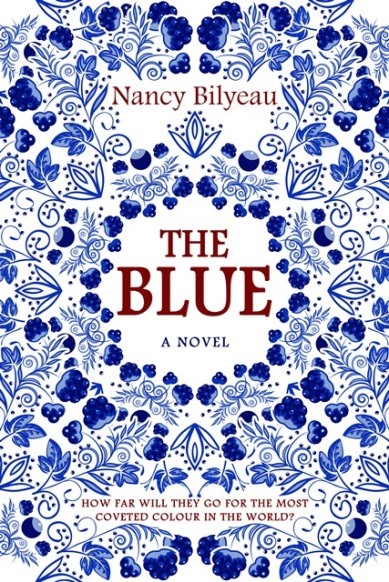 Still, I can recommend The Blue as a unique offering in historical fiction, peopled with real figures from the pioneering porcelain works in England and France, set against the backdrop of the Seven Years War and religious persecution, and featuring a heroine readers can easily identify with and root for. The Blue is on a blog tour! 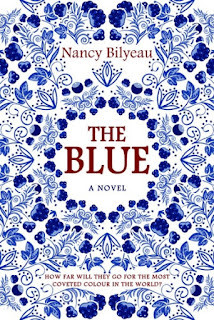 During the Blog Tour we will be giving away an eBook of The Blue by Nancy Bilyeau! Thanks so much for hosting Nancy's blog tour!